Lashkara ’16, the annual cultural fest of SGTB Khalsa College started on the 25th of this month and culminated after three days on 27th February. The three-day fest saw a number of competitions and events. Here are a few glimpses of the fest. First day at Lashkara witnessed the principal and the union of the college, along with some other faculty members inaugurating the fest at the auditorium. This was followed by Abhivyakti, the stage play competition organised by Ankur, the dramatics society of SGTB Khalsa College. The event saw participation from various colleges including Hindu College, Ramjas College and Shivaji College, among others. The event was judged by actor, designer and director, Vandana Vashisht and Ravindra Tripathy, a known journalist and a theatre critic. Ibtida, the dramatics society of Hindu College emerged as the winner. Swarang, the music society of the college, organised the Eastern Solo and Group singing competition. Both the events were judged by Prateek Narsimha, who is a leading vocalist of a popular world fusion band Raagleela. In the eastern solo category, Ramjas’ Rahul came first while Kshitija from Faculty of Music bagged the second position. In the eastern group event, the first position was secured by Institute of Home economics while Daulat Ram College and Kamala Nehru College secured the second and third positions, respectively. Day 2 of the three day extravaganza witnessed Pratyaksh, the street play event organised by Ankur, the dramatics society of the college. The event was non-competitive, so as to give the opportunity to the teams to showcase various issues rather than battling it out for the title. 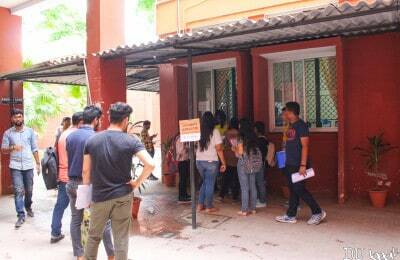 Colleges including IPCW, Hans Raj College and Hindu College, among others participated in the event. Swarang organised the Western Solo Singing competition and the Western Duo and Trio singing competition. The Western Solo Singing was won by Srimayi Ladagiri of Dyal Singh College (E) followed by Megha Khandelwal of Rajdhani College, and Samarth Mehta of SGTB Khalsa College, at the 2nd and 3rd positions, respectively. The Western Duo and Trio Singing competition saw teams from Sri Venkateswara College and GTBIT College sharing the first position, followed by another team from Sri Venkateswara College. The third day of the Annual Festival of SGTB Khalsa, Lashkara, started with a folk dance competition. Several colleges including SGND Khalsa, IP College, Mata Sundari and Gargi put up performances. The first prize went to the girls of Mata Sundari College for their Gidda performance, followed by the Gargi College at the second position. The afternoon witnessed two star performers namely, Babbal Rai and Jassi Gill, performing in front of the enthusiastic crowd. Despite the scorching heat of the sun, people seemed to enjoy their popular numbers such as ‘Babu Zimmedar’, ‘Bum Sutt Mar’ and ‘Deor Bharjaai’.